Evan Williams has booked champion jockey Jim Crowley for leading Betfred Cesarewitch fancy John Constable. 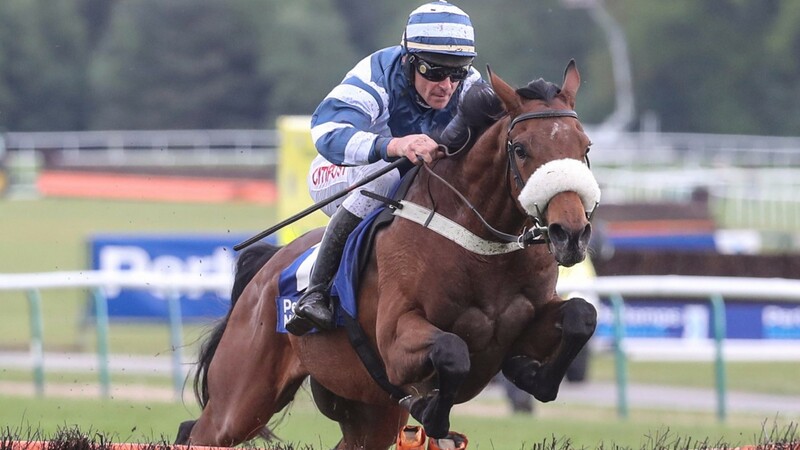 John Constable has shown dramatic improvement this year, hacking up in Haydock's Swinton Hurdle off a mark of 134 before making light of a 16lb rise in the Summer Handicap Hurdle at Market Rasen. Williams said he knows little about Flat racing but conceded that the six-year-old is potentially very well treated off 88 in Saturday's Newmarket marathon judged on his revised hurdles mark of 156, and he is delighted to have secured Crowley's services. Evans, who has trained only 13 winners on the Flat, said: "He looks well handicapped on hurdles form, but it doesn't always work out like that and you should remember he was with Aidan O'Brien before. I can't believe a trip to my place has improved him from where he was before, because he was at the best place there's ever been. "Horses go forward for all sorts of reasons. I don't know why he's improved so much, but he just seemed to come to life in the spring. He'd had a little wind op in January or February, but if I had to give one reason for the improvement I'd say it was the weather. We had a glorious warm spring here and he thrived. It's been unusually good here since too, as we've missed the worst of it for once." He added: "I booked Jim Crowley on Saturday. I rang [jockeys' agent] Tony Hind for his advice, as he knows a lot more about Flat racing than I do, and he said Jim could ride the horse, which is brilliant. "People say John Constable is the right sort of horse for the race, but I wouldn't know. But I'm encouraged by the fact he ran very, very well over two miles for Aidan, even though he won only once, and some do say the Cesarewitch is the last race of the Flat season and the first of the jumps. "He will be fresher than some of those who have been on the go all year as he's had a good break since Market Rasen. He seems to be in good form." The weights for the race are set to rise by a minimum of 3lb since current topweight Nakeeta is in quarantine and flies to Australia on Thursday. Next in the weights currently is Pilansberg, whose last race on the Flat was in the Group 1 Prix Royal-Oak nearly two years ago, but trainer Paul Nicholls said "he probably won't run", in which case the weights will rise by at least 5lb. The sponsors make John Constable 10-1 joint-favourite with the Charlie Fellowes-trained Endless Acres, who has been off since his Royal Ascot second in the Ascot Stakes, and Alan King's Cesarewitch Trial winner Who Dares Wins.